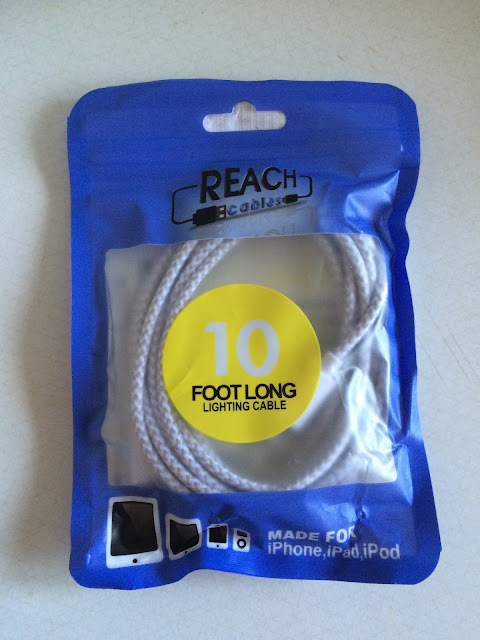 I recently received an iPhone Charging Cord from Reach Cables. 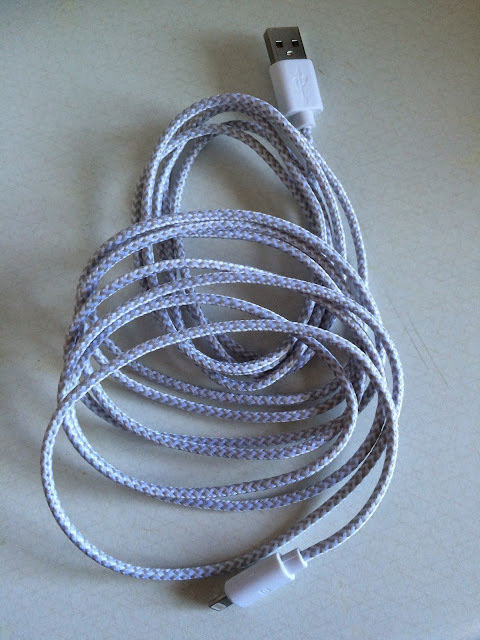 I'm always looking for a good charging cable for my phone - between the car, the kitchen, and my bedroom/office area, I'm always looking for another extra so I'm not moving my charger around all the time. What's great about this particular cord is that it's 10 feet long! I can plug this in my bedroom-office and not have to move it around the room depending on if I'm working or getting ready for bed. This cable is extra tough with it's extra outer layering. 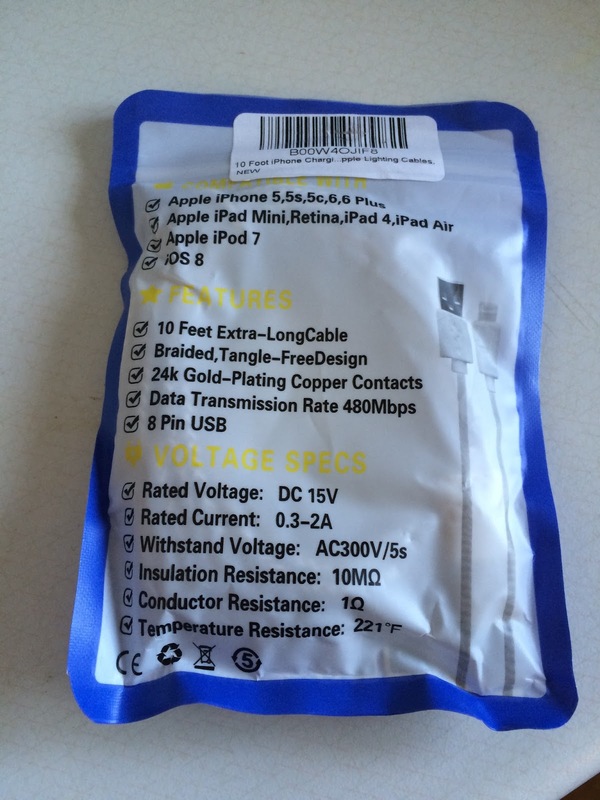 This really is an amazing product perfect for anyone with an iPhone or iPad!